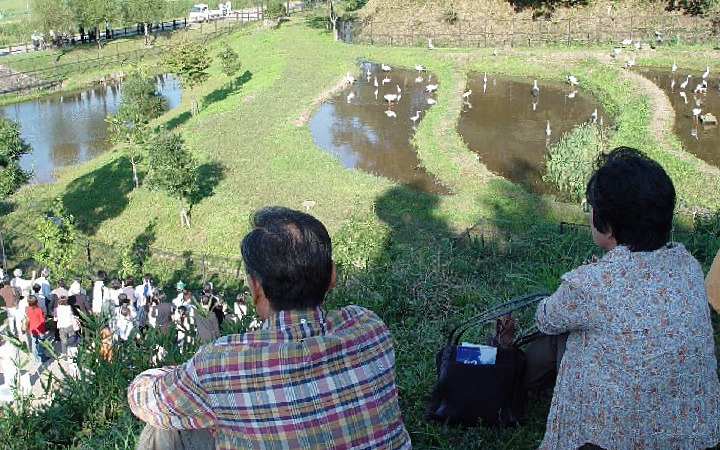 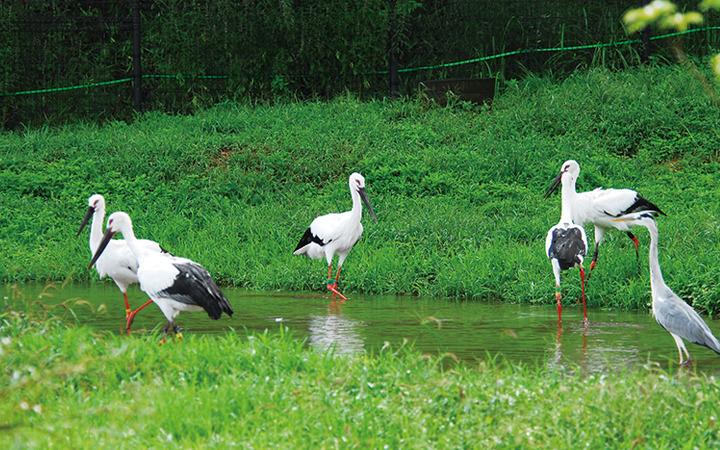 The oriental white storks, a Japanese Special Natural Monument, are bred and raised in the park after having gone extinct from the region. In the park you can see them up close as you listen to English explanations. They sometimes fly in and out of the park once they have been released into the wild. 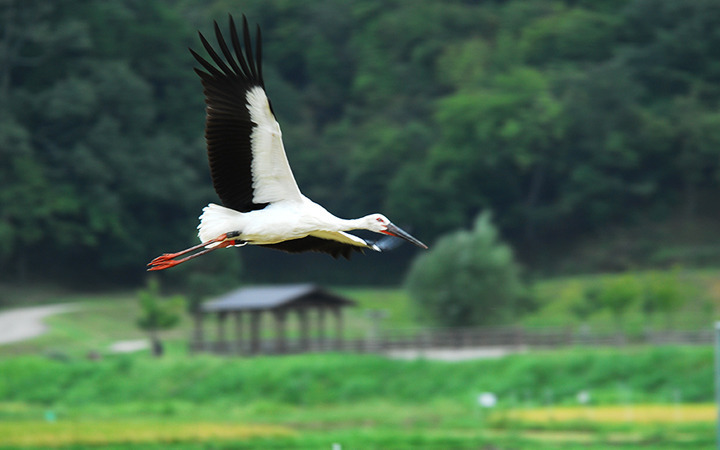 Particularly tasty rice cultivated by "Rice of the Stork Friendly Farming Methods" is served at the restaurant right next to the park.